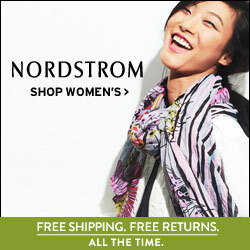 Every Fall & Winter a slew of gorgeous rich colors make their way into our wardrobes. Most of us turn to our black, grey, brown and navy pieces throwing the occasional burgundy and camel in the mix and call it a day. This year however, I’m already seeing much more color- tons of reds, greens, oranges and purples but my favorite color of all is TEAL! 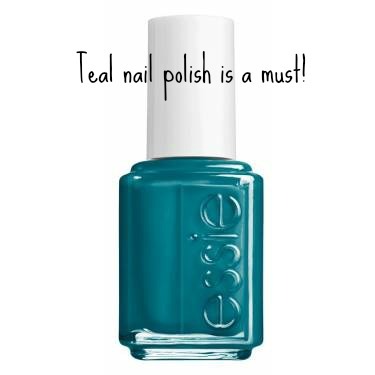 I love how luxuriously fun teal is! 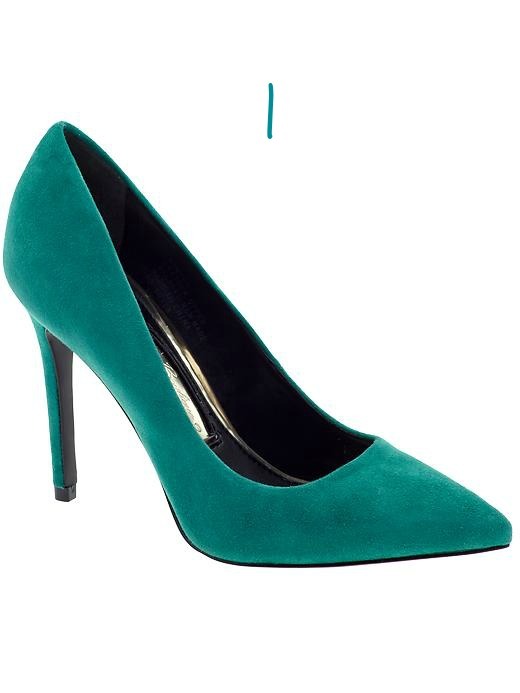 The emerald meets deep blue hue is so pretty and pairs well with many other colors like black, grey, camel and gold! I can’t even express how much I love gold and teal together! 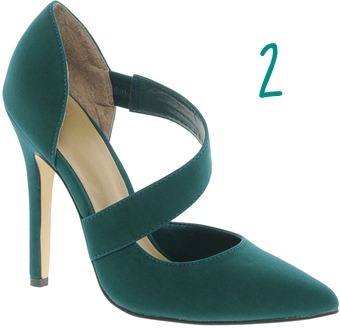 A great way to incorporate this divine color into your wardrobe is to start with a heel! Check out these styles below! 1.Boutique 9 heel $105 available HERE. 2. Asos diagonal strap detail heel $50 available HERE. 3.Boutique 9 snake embossed heel $98 available HERE. 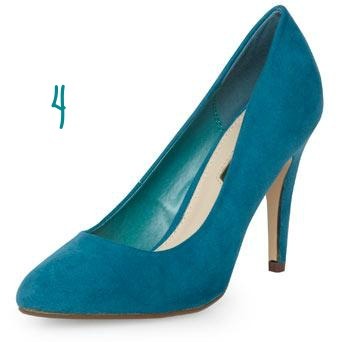 4.Dorothy Perkins heel $44 available HERE. 5. Nine West heel $69 available HERE. While we’re on the subject, a teal nail polish never hurt nobody either!!!!!!!!! Essie’Go Overboard’ $8 available HERE. # 1 and 2 – soooo cute.